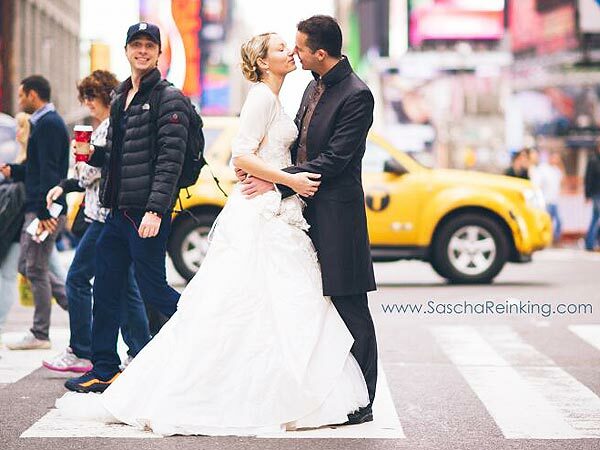 Zach Braff photobombed a couple’s wedding photo in times square. 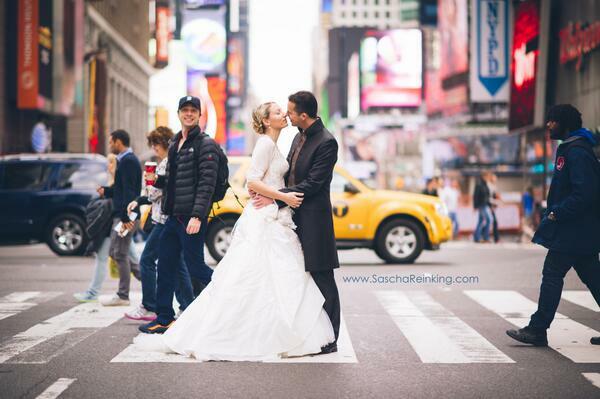 The newlyweds were posing on a Times Square crosswalk when Zach was captured in the shot. A smiling Zach is seen wearing a baseball cap in the photo. He must have been walking in the street and noted the photo shoot taking place. He then walked across the same crosswalk as the couple were using for their photo shoot and appeared to the right of the couple in the photograph. The keen eyed photographer of the wedding, Sascha Reinking is the one who noticed the grinning actor-director in the shot and busted him. The photographer then put the photo on twitter and tweeted an initial message to Zach, telling him that she had noticed he totally photobombed the newlyweds. She actually called them her newlyweds. There was a second tweet too. In a rejoinder, Zach agreed that he was the one in the photo and confirmed he was the culprit. He tweeted that the photo was one of his best photobomb ever. He offered the couple a little celebrity mojo as they begin their married life together. Zach even seemed pleased with his work. Zach is seen to have a soft spot for romance as he was captured helping a musician in June propose to a girlfriend. This brought out his altruistic side. The proposal was on video. The decision of the 38 year old ‘scrubs’ TV show star to step onto the street crosswalk and appear in the wedding photo is great. He must really have given the newlywed couple a wedding photo to remember. Anyone could pay to have a TV show star appear in your wedding photos but this couple got themselves a star for their photograph free of charge. Call it a charmed wedding, with a celebrity to boot.